Travelling to Bramham on Saturday I had mixed feelings. 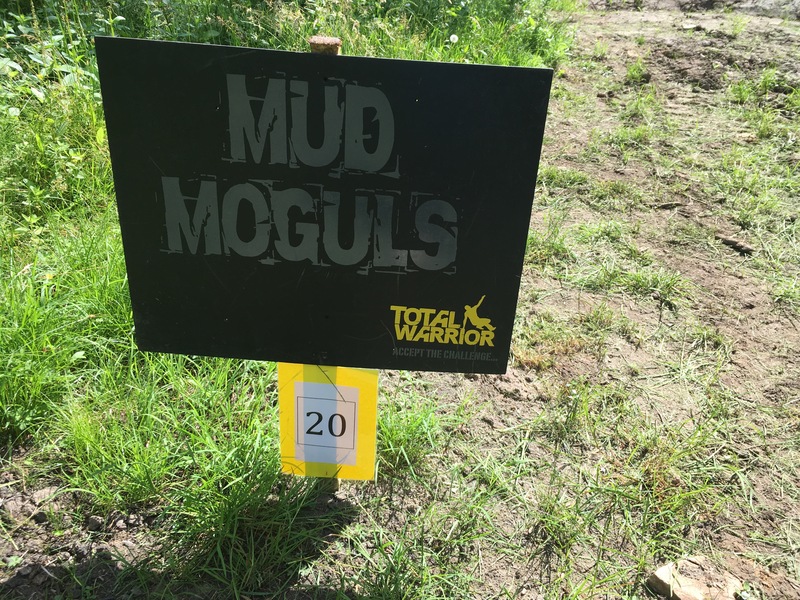 I was gutted that I was once again not participating yet excited for my first taste of Total Warrior. Arriving just before 8am we were directed to the car park and then made our way to the volunteer tent. Registration was efficient as we were kitted out, provided with lunch and given our zone. I was to be on zone 5, given the number of water safety/lifeguards on the zone it didn’t take a genius to work out it would be a wet one. After a quick briefing we were driven to our zone and given our first glimpse of our obstacle. Mud Moguls would be my obstacle for the day. I have to admit I don’t look forward to them when I’m participating. Seven energy sapping mounds of mud with a water dip between. How could they not be fun. They were dry as the first guys leaped and bound over them, almost as if they were mere speed bumps. As the masses began to descend the mounds got wetter and wetter, quickly becoming a series of mud slides, the stuff of dreams (well maybe not). Not one to let the participants have all the fun I was soon making my way around and over the moguls offering assistance and encouragement, ok I admit I may have been in the mud pits on more than one occasion, it would have been rude not to. Every participant was great, shaking hands, hugging and saying thank you as they navigated a deceptively difficult obstacle. As the last runners came through, it was time to say goodbye to the moguls, until next time. Back at the event village we were given our food and drink tokens and thanked for our efforts. This may have been my first experience volunteering at an OCR event but I cannot fault Total Warrior for how they look after their volunteers. Overall I had a great day, I hope the participants had as much fun as I did. I will undoubtedly be volunteering and participating when Total Warrior returns to Leeds. The end of Rat race 2017….. It started with a moment of madness, signing me and my dad up to a challenge beyond anything we had done before – 20 miles and 200 obstacle. This blog was supposed to track my journey to the Rat Race Dirty weekend Full Mucker, well that was Plan A and things don’t always go to plan. If you’ve read my blogs from the beginning you would have seen that after a good start my journey hit a few speed bumps, namely a large fibroid (an unwanted growth in my uterus). This has had a huge impact on my life and training. I was relieved to be given a surgery date that would (If I was careful) give me just enough time to be ready for the Full Mucker. What had begun as a simple physical challenge had just grown to epic proportions. Working towards the surgery had given me a new focus, I was reaping the benefits of pilates and was back enjoying training (within limits). Fast forward to the 29th December, the day before surgery. I had just finished my last pre-surgery pilates class and was spending the day with my (incredibly supportive) wife getting our new house ready for when I was discharged. Then the phone call, two words “bed crisis”, that was it surgery was postponed (until when? answers on a postcard please). The initial frustration was soon joined by disappointment as I realised my journey to full mucker was all but over, for 2017 at least. So where to now? Well aside from the waiting game that I continue to be an unwilling participant of, I’ve decided that frustration and anger won’t get me anywhere; instead I will be working hard to make sure I am physically and mentally in the best shape possible for surgery. New short term goals have been set and a few more challenges are in the pipeline. As for the Rat Race we will be transferring our entries to the 2018 race. The journey continues albeit on a slightly altered route. The last couple of weeks has been full of positives, providing relief from what had begun feeling like I was banging against a brick wall. Training wise I have managed to string some good sessions together and boy does it feel good. The result is that I have actually seen some progress not only in terms of what I can actually do but also in how I feel after the session. I have attended body pump on a few occasions and even dared up my weight, I know living life on the edge right!, I never thought I would enjoy something like body pump but I’m actually starting to enjoy handing over responsibility for programming a weights sessions to someone else. On the weights training note I did a full set of Olympic lifting this week, actually clean and jerked a real life barbell. It is probably slightly worrying how happy a 35kg clean and jerk actually made me. Pilates is still a staple in my diary, I am seeing progress every time, whether it be in the volume or intensity I am able to do or stepping up the difficulty of the exercise. It has been so nice seeing these positives and realising that although my fitness levels are nowhere near where they were only a couple of months ago they are progressing even if it is by little baby steps. One of the major changes that I think has facilitated such a positive couple of weeks is that I’ve been listening to my body. This is not just in terms of taking days off and “taking it easy” but more that I am taking exercises slowly listening to when enough is enough to allow me to do other exercises, taking a step back when I need a complete change and focusing more on what I can do rather than what I am restricted from. Yes there are still days where I have really crappy sessions but so does everyone, and rather than letting these crappy sessions affect the next session I am now reflecting and learning from what I’ve done and taking these lessons forward. Secondly I finally have a date for surgery, I never thought I would be so happy to know I am going to be sliced and diced in only a few short weeks (NHS bed shortages allowing). My first thought was if I would have long enough to train for the Dirty weekend post-surgery. I have calculated that I have 127 days to recover from surgery and be fit enough to complete a 20 mile obstacle course. I have taken inspiration from “Operation Ironman” by George Mahood who completed an ironman only a few months out from spinal surgery, researched recovery protocols and spoken to people who have had similar procedures and although I am cutting it mighty close I am confident I will be a “Filthy Mucker” by tea time on the 6th May 2017. After all the whole point of signing up for the Dirty Weekend was to provide a challenge, and this is one hell of a challenge! If you would like to read more about the challenge that lays ahead and what is motivating me to continue please follow these links. Where I’m at and good friends/family. I haven’t blogged for a couple of weeks for a couple of reasons. Firstly the quality and quantity of training hasn’t been anything to write home about, and secondly I have been sulking. If truth be told I have managed only a handful of quality cardio sessions, even fewer weights sessions however I have stuck to Pilates and even introduced Body Pump. 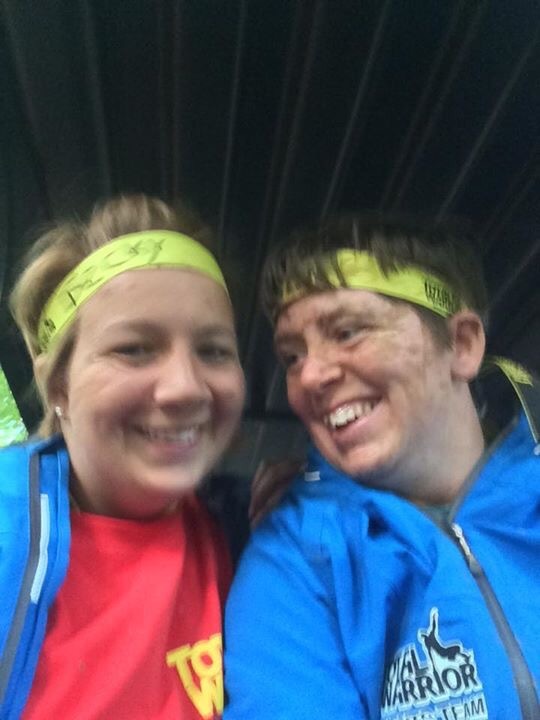 It’s fair to say the last couple of weeks have been a roller-coaster period but the point of this blog was to map my journey to the Rat Race Dirty Weekend, any journey worth taking is never going to be easy. So here goes an honest overview of where I’m at in my training. Cardio, up until a couple of months ago I had strangely fallen in love, not quite a cardio “bunny” but not a hater either. 60 minute runs were common place, providing time to clear my mind and reflect. Currently 30 minute runs are more common place, often at a much steadier pace. Cycling is almost impossible and even swimming can prove uncomfortable for more than 30 lengths. Resistance training; Can someone just remind me what this is again please! Yes it is that bad! Previously I would weight train at least three times a week, Kettlebells, Bulgarian bags, dumbbells and Olympic lifting were common place now these tools are having a vacation from my workouts, and being replaced by bodyweight only exercises and body pump with “light weights”. So that’s the crux of it, training has not been going well and yet my countdown app tells me there is only 167 days until we take on Rat Race. One thing I have noticed is how quickly “medical” people will tell you what you can’t do, lets just all take it easy (see previous blog for my opinion on taking it easy.) while life passes us by. No thank you, I can’t help but wonder where I’d be fitness wise if I had trusted my instincts and simply adapted my activities rather than stopped them. Training and fitness has long been a part of my life and I am determined to get through the challenges that lay ahead and make it to, not only the start line, but also the finish line of the Full-Mucker.I have already experienced so many highs and lows on this journey and know there are many more to come, but the knowing that this journey will make the accomplishment of completing the challenge so much more pleasing and that two great charities will benefit from my end goal keeps that drive inside strong. I am lucky to know some amazingly supportive and knowledgeable friends, family and colleagues that not only understand my need and desire to be active but also my stubbornness. So to those who have put up with my “angry elf” side sorry, thank you and please bear with me as although I can’t guarantee the anger, frustration and stubbornness may still raise it’s ugly head I am working on it and I appreciate the support! To anyone reading this that is facing a challenge, whatever it may, be find positive people and stick with them, they will make all the difference. 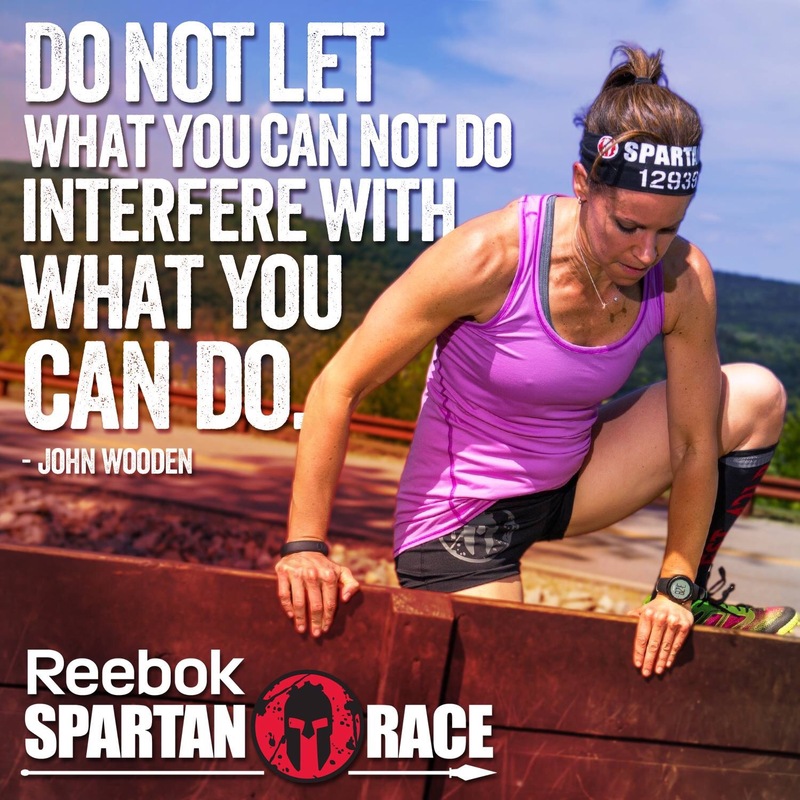 Spartan Sprint – you’ll know it at the finish, or will you? With the Manchester Spartan Race cancelled my wait for my first Spartan experience was extended. By the time I was on my way to the venue I was excited and anxious to get going after all a race with the tag line “you’ll know at the finish” leaves you with high expectations. The start line set the tone for the race, yes you had to clamber over a small (4 foot-ish) wall just to get into the starting pen. As Spartan newbies we didn’t really know what to expect baring a fire jump and spear throw, thankfully the duty Spartan quickly discovered our wave was indeed a wave full of Spartan Virgins. It wasn’t long before “I am a Spartan” was ringing in the ears of everyone within a mile radius and we were off. Months of anticipation and excitement were about to unfold. One thing I have noticed in the events I’ve done is how amazing the marshals are and baring a few that looked like someone had stole their last jelly bean they were smiling positive and full of advise (does “30 burpees” count as advise?). The guy dishing out the burpees at the monkey bars had some good banter and inventive burpee variations to keep everyone smiling following a good old British downpour. The lady at the barbed wire crawl dishing out advise and hugs. The ladies at the penultimate double wall were amazing, all day the supported, lifted pushed and encouraged participants over the wall yet their enthusiasm never dwindled, they were still going as we left the event village. The only real criticism was the extended wooded section where not one marshal was to be seen and very little tape marked the route. If I’m honest I was a little disappointed by the variety of obstacles, there was walls, rope climb, walls, spear throw, object carries, walls and drags, did I mention walls? Yes there were lots of walls, initially this was fine but having to clamber over wall after wall when fences also had to be climbed just got us wishing for a little more inventiveness. Admittedly they were varying heights etc but walls are walls. The main obstacle was terrain, rough, uneven and full of stingy plants, at the end of the day it’s there so use it and it did add to the course. Overall I enjoyed the race, it wasn’t a massive challenge but it was only the sprint. It showed me that my training is working as walls were much less challenging than in previous events, I was even successful at the two overhanging walls. The rope climb was one obstacle I had been looking forward to and dreading in equal measures. It was made slightly trickier by the downpour that left the rope wet, muddy and slippery yet surprisingly I made it to the top and rang the bell (if you know my dad feel free to ask him how he got on). The remainder of the obstacle were challenging but realistic, and lets face it anything that finishes with a fire jump is going to make you smile. They say “you’ll know at the finish” but what did I know? I was left still questioning it. 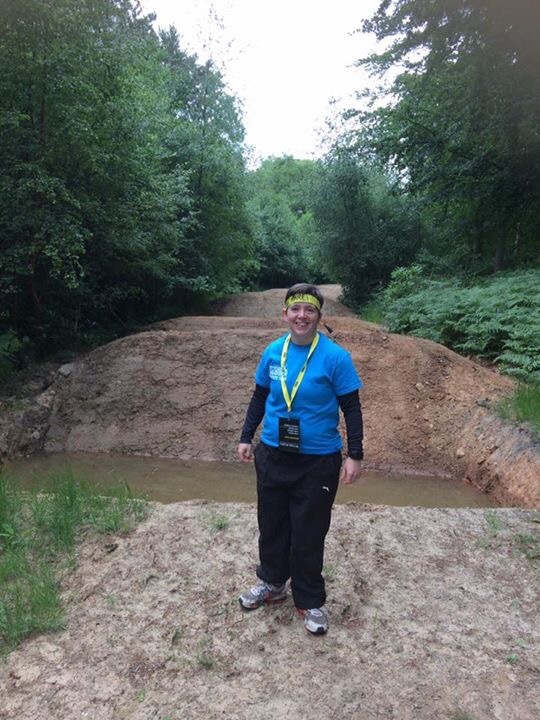 Other events I’ve done have been better organised, offered more variety of obstacle and a more welcoming atmosphere. Spartan is a brand known to the general population, its reputation is one of toughness and challenge, not for the faint hearted. Spartan race, for me, was similar to some big brand shoes, they do the same job as a cheaper version and from time to time you’re left wondering if what you’ve really paid for is the name. Having said that I’ve still got that nagging feeling that I’m missing something, there is still a part of me that wonders if I am/could be tough enough to complete the trifecta? I can see where the “cult” label comes from, once you’re in you are left wanting to delve further into the community, see what the longer, harder races have to offer, see if you are strong and fit enough to take on their challenge or if you are just destined to a life of lesser known challenges. So where to now? Away from OCR I have a mammoth 2km “swim” in 10 days time. OCR wise I am returning to the Suffering Race at the end of October and am looking for another race before then. I am already compiling a wish list for 2017. I started this blog to track my progress to Rat Race Dirty Weekend 2017 and help raise awareness and funds for two charities, the Royal British Legion and Scotty’s little soldiers. What I am finding is that this journey is one that will continue beyond next May. If you would like to donate to our two worthy causes please use the link below. Training has always been an escape, an opportunity to forget “real life” and just focus on one more rep or putting one foot in front of the other. Lately though it’s not been that way, it’s a battle, a battle between what I want to do and what I can do pain free. It’s a balancing act between being stubborn and pushing myself within limits. The truth is training in accordance with common advice on exercising with fibroids is frustrating, in reality nobody knows my body as well as me. Having initially been advised against high impact, heavy lifting and core work. What I’ve found is that whilst running is fine cycling is a form of slow painful torture resulting in abdominal pain for up to 48hours. Lifting and core work is more complicated certain exercises are fine others aren’t, anything face down is off limits whereas anything overhead is fine. Every workout is a lesson and that’s what I’m trying to take from this period, even if, at times, I’m frustrated, annoyed and want to hide away kicking and screaming (does that count as cardio? ), I’m hopefully this experience will also make me more understanding when helping others on their fitness journey. So what has my training involved? 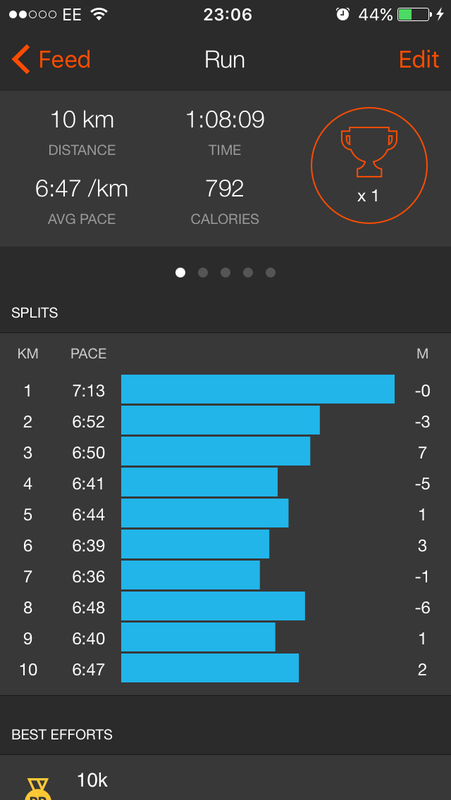 Running Wise I’ve dropped the volume and frequency whilst aiming to maintain some consistency. I’ve discovered that I can actually swim(ish), prior to he summer holidays 4 lengths would leave me knackered, I’m now up to 60 lengths, happy days. I have also found a fantastic ladies fitness class based in Whiterose crossfit, Horsforth. The ladies are so welcoming and the class allows you to work as hard as you want, usually whilst using what little breath you have left to have a laugh. There have been some tough workouts that have pushed me to the limits. I’m looking forward to more sessions with this great bunch. Overall I’m learning to have some patience, to take a workout, listen to my body, adapt exercises when I need to and keep pushing forwards. 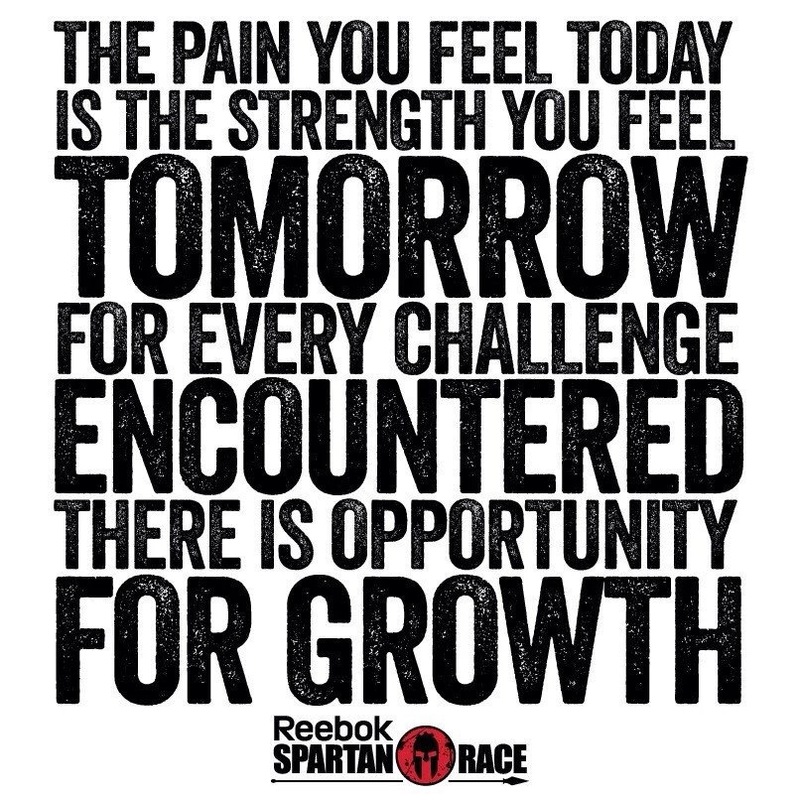 This will, I’m sure, be tested this weekend at my first Spartan Race, there will be obstacles, there will be burpees and there there will be fun. Bring it on. Well this week has been full of milestones! 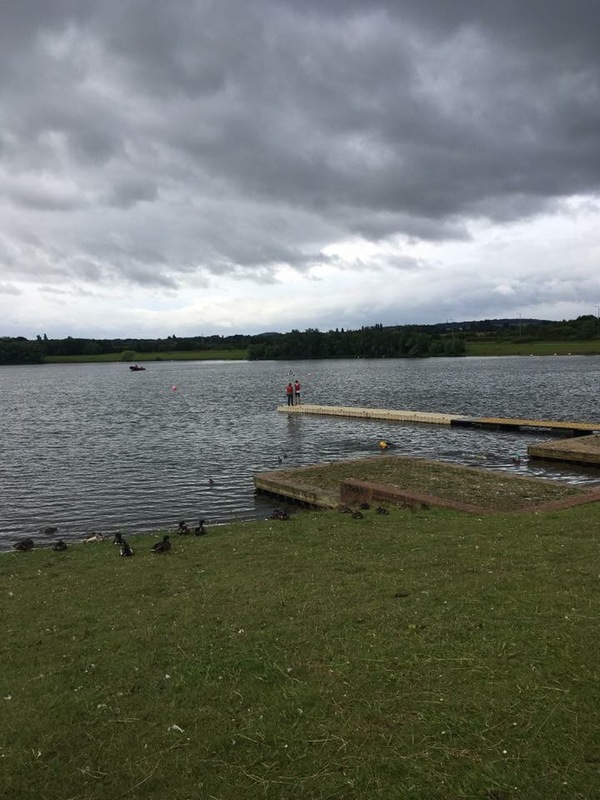 Firstly I conquered the open water swim, well sort of. After some practice and acclimatisation between the jetties I got back out of the lake, across the pontoon and jumped in. Feet first and scoring around 1.5 for grace but I did it, and the success continued. Setting the goal of hitting the next buoy I swam a recognised stroke the whole way around the course. Yes there was tantrums, yes there was panics and yes I still wanted to get out but after successfully making it around not once but twice (yes my wife is that pushy) I left feeling knackered but just a little bit proud of myself. Does this mean my fear of water is conquered, not at all but it is a positive memory to bank away for when the fear kicks in. As for running I set myself the target of running a sub 90minute 10km by the end of July and today I achieved just that. I acknowledge this is not a fantastic time by “runners” standards but for me and my short legs it’s a far cry from where we were a few months ago. There has been less success on the pull up front I’ve achieved two unassisted with a slight kip but fallen short of the 5, not only that but having spent so long on pull ups my chin ups have suffered too. Overall though training appears to be heading in the right direction. Ratrace have had a few events recently and each one looks so professionally ran, the reviews are always top notch and they really seem to go the extra mile for participants. I cannot wait to get in on the action next year at the dirty weekend, I can see this being the start of the journey with so many cool challenges I think a season pass maybe in order. And getting to raise awareness and funds for a couple of worthwhile causes makes it all even more fun. My training mojo has returned! I’m not sure where it’s been but prior to the last week or so I was having real difficulty convincing myself to train. I forced myself to go for a run, just a steady 10km I told myself, yet somehow I hit a PB (1:10:29) still slightly above my target of 1:10, which I will be having another crack at this week, but a whole 2 minutes faster than my previous best. The whole run felt horrible, I felt like I was running through treacle the whole time. Psychologically it was hard to keep going as my trusty strava reminded me just how hard going it was. I have strava set to give updates every 1km, usually these updates are great, they motivate you, remind you to keep pace and allow you to keep track of how far you’ve gone. On this run however every update was a reminder that I was running on average 30sec/km slower than I have been recently. The key for me though was to remind myself just how far I’d come. Two months ago a 10km run would have been out of the question (a non-stop 5km would have been a challenge) yet there I was running a steady 10km as an easy run feeling disappointed by my km splits. You just can’t please some people. Away from running I have been combining Zuu (a primal bodyweight training system) with Crossfit style training. Zuu is amazing, it’s all about you controlling and unlocking movement patterns. The animal based movements look so easy yet put together it quickly chops away at your breathing pattern and quickly gives you a good dose of lactic. From that point on the choice is simple, listen to the headtalk and stop or ignore it and continue. There are a few movements that I struggle with technically that when combined with the metabolic demands of the workout are guaranteed to have me questioning the way forward. Crossfit wise I do a Crossfit style session a couple of times a week, I enjoy the way it tests aspects of strength when you’re already in a fatigued state in much the same way you get on obstacle courses. I’m no expert at planning training for obstacle course running, having only completed 4 before with very little preparation, so my training is very much a big experiment. So far combing running, Zuu and crossfit are providing me with some great progress. The next opportunity to check my progress is the Spartan Super in September. I can understand how some people book weekly events, it’s not even one month since my last event yet it feels so long ago. I have also discovered a previously unknown addiction to obstacle race magazine, each edition is read and re-read to gain every ounce of information that may help. In addition to the knowledge, you get race reviews and upcoming race calendars. Now all that is needed is a bank account as large as my todo list. Well we can all dream!